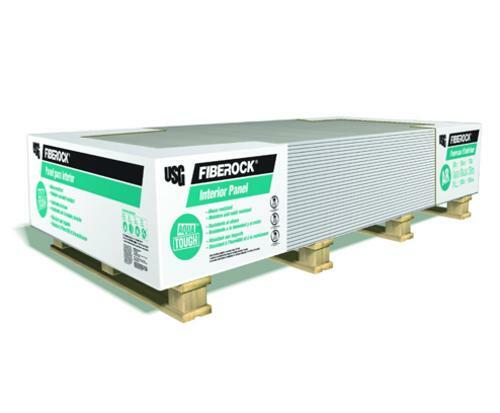 FIBEROCK® Aqua-Tough™ Interior Panels are high-performance panels that resist moisture, mold and fire as well as dents and penetration. Use FIBEROCK® Aqua-Tough™ Interior Panels on walls, ceilings and exterior dry soffit applications where you need a smooth surface for paint and ceramic tile. Install this versatile product in high-traffic areas and it will provide strength, as well as water and fire resistance.